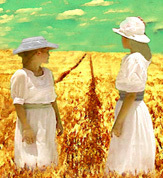 Pat and Clara are my pioneering companions from the first of the history trilogy: The Prairie Companions. Pat is very loosely based on my great aunt. Many of the relatives she left behind when she went to Canada are based closely on my own family. I felt no need to create images of these people, they are too well known to me. The image I used for the cover is a Photoshop art piece based loosely on a Victorian painting. For Surviving Beauty I choose to feature Regan’s eyes. Given the subject – exploitation of a young girls natural beauty, I did not wish to play that game by using an very sexual model or showing anything but these haunted eyes. The story was prompted by stumbling on a piece on YouTube and a connected news story. A Florida based company was shut down by the FBI for selling imagery of young girls under the guise of child modelling. The case was very messy and complex since the motivation for the site was clear but the girls were always technically legal. One of the most popular girls was actually the daughter of one of the people who ran the site and was her photographer. It was this girl I saw on YouTube. She was now a young adult and was appealing for her father to be released. She had enlisted a few of her friends who had also been models. She was saying the thing had been harmless and innocent. It was sad and moving but she was deluded in imagining her father’s motives were in any way harmless or innocent. He was exploiting her and her friends innocence and budding sexuality to make money. It was distressing and started me thinking. These two books are the result. I tried to avoid indignation and anger in these books and the stories are told from the perspective of Regan who is exploited in this way by her father. I needed to tread carefully and respect the subject. I think I achieved that and reviews seem to support me. Emma, a pilot and flame haired beauty with a tragic past who pushes herself to dangerous extremes in an attempt to escape that past. And her co-pilot Julie, known as JJ. 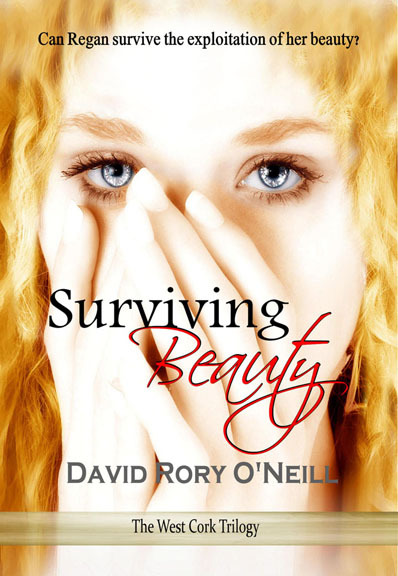 Another feisty young Irish beauty who is struggling with her lesbian identity and trying to escape her ultra-conservative family background. The Dawes girls as they are in The West Cork Trilogy and the last of the Daniel Series: Trial.